Husband loves it! Made very Well! This flask from Visol has a solid stainless steel body wrapped in genuine black leather with white trimmings on top and bottom of the flask giving it a poised appearance. 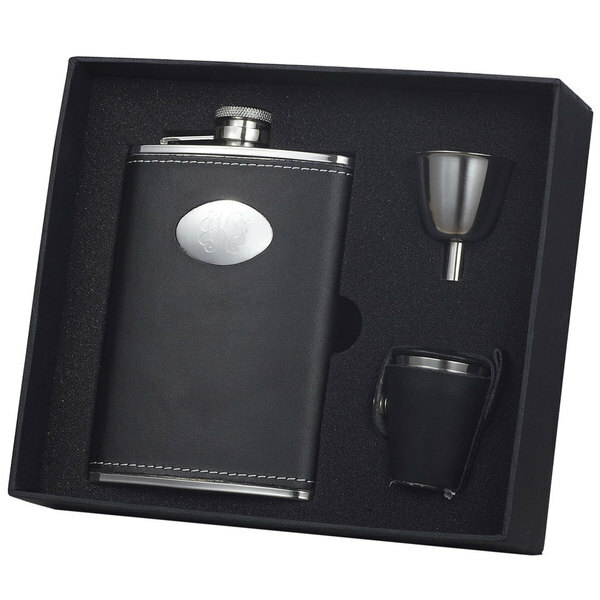 This deluxe set comes with a funnel and four stainless steel shot cups which are encased in a black leather carrying case for your transportation convenience. MY CLOSET ALCOHOLIC HUSBAND LOVES THE FLASK. HE CAN DRINK ALL HE WANT AND IT NOT BE NOTICED.